Trezor Wallet is one of the most secure hardware wallets developed by the company Satoshi Labs. In fact, it was the first ever Bitcoin wallet used to keep the cryptocurrencies in an offline storage. 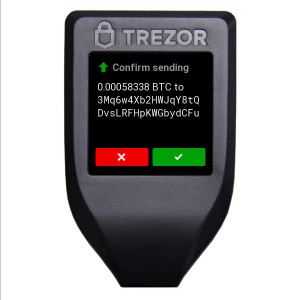 Trezor Wallet is available in two models: Trezor One and Trezor Model T. The main difference between the two models is that Trezor Model T makes use of a touchscreen for its operation whereas the Trezor One uses two physical buttons. Like Ledger Nano S, Trezor is also a multicurrency hardware wallet which can be used to store Bitcoins, Altcoins and the majority of ERC20 tokens. It provides additional security features like passphrases to protect the funds of its customers. By using the Trezor Manager application, the wallet can be used on Android devices as well. Currently, the app cannot be used to send/receive payments but can be used to initialize or set up the device. Ripple (XRP), Cardano (ADA), Monero (XMR), Tezos (XTZ) – Supported only by Trezor Model T.
To know the full list of coins and tokens which are supported by Trezor wallet (both models), click here. Both Trezor One and Trezor Model T can be connected to the computer via a USB port. The operating system compatible with the device is Windows (7 and higher), MacOS (10.11 and higher) Linux and Android OS. Apart from that, the user should check that the Holographic seal is intact and sits tightly over the USB port of the Trezor Wallet. Also, the user should see mark once the sticker is removed from the USB port. In case the user finds anything wrong with the Holographic, then he should contact the Support Center right away. Apart from the packaging temper evident hologram, Trezor also uses software to protect you from anti tempering. Connect the Trezor Wallet to your computer using the USB-C cable. Open any browser (eg. Google Chrome) on your PC and navigate here. Select the model of your device. (Trezor One/Trezor Model T) and click ‘Continue to Wallet’ button. Now the screen prompts you to download and install the TREZOR Bridge software to establish communication between the computer and your device. Then, click on the ‘Install Firmware’ button to install the latest firmware on your Trezor wallet. Once the installation is completed, disconnect and reconnect your device to apply the changes. If your device is preloaded with any firmware, then you should contact the Trezor Customer Support immediately as it is most likely a tampered device. Before starting to use the Trezor Wallet, the user must set the PIN code and note down the recovery seed. Connect the Trezor device to your computer and open the Trezor Bridge software. Click on the button marked ‘Create new’ to create the new Wallet account. Then click on ‘Create a backup’. Now, your screen will show the recovery seed. Do make a note of all the words correctly on the recovery card that came along with the device. (Never store the recovery seed on your computer, mobile phone or any online storage like Dropbox, GDrive etc). Next, you will be asked to select a few recovery words as part of the authentication procedure. To easily identify the device, Trezor allows the users to create a unique name (up to 16 characters are allowed) for the device. It will be especially useful for those who have multiple Trezor devices. 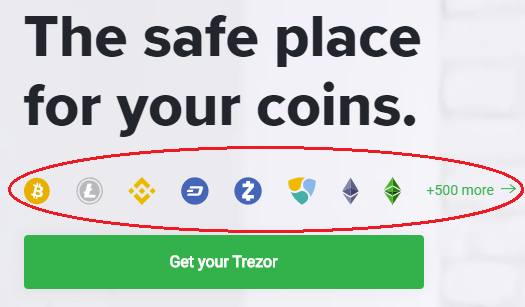 Follow the below steps to receive coins or tokens on your Trezor wallet. Click on the title ‘Account #1’ located on the left side of the page. 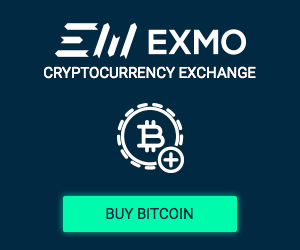 Next, select the cryptocurrency you would like to receive from the drop-down box located on the top left of the screen. Then, click the ‘Receive’ tab to view the receiving address on your screen. Now, you must connect the Trezor device and check whether the address displayed on the device matches with the one displayed on your computer screen. If you would like to view the address as a QR code, then click on QR on your device. Then, the QR code for the address will be displayed both on the computer and the Trezor device. Finally, share the receiving address to the sender to receive the digital assets on your Trezor Wallet. For better privacy, it is highly recommended to use a new receiving address for every transaction. Once the funds are received on your wallet, it will be reflected in the Transactions tab. Select the priority level for the transaction fees (High, Normal, Economy, Low). 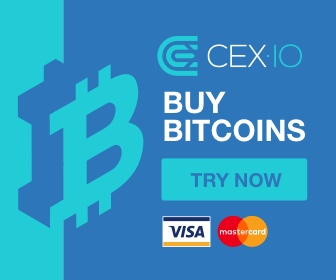 A high transaction fee will ensure that your transaction will be processed immediately as it will be set as high priority whereas a low transaction fee won’t set any priority to your transaction. This transaction fee is not fixed by SatoshiLabs and it will be used to fund the operation of the blockchain network. That’s it. Congratulations! You have successfully moved the funds out of your Trezor Wallet. 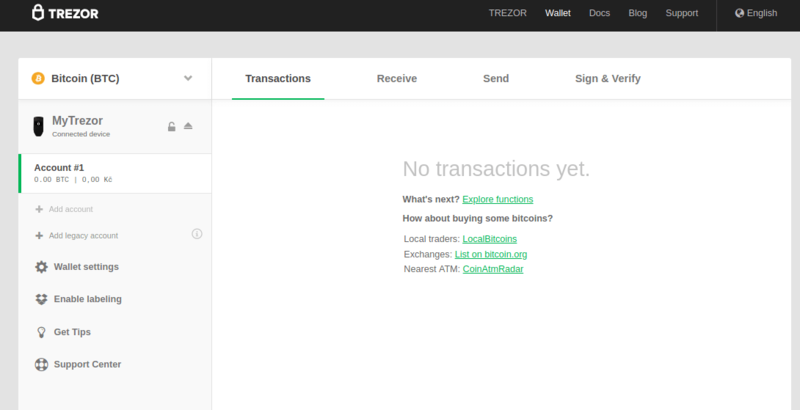 To view the status of the transaction, click the ‘Transactions’ tab on the Trezor Bridge software. Passphrases are recommended only for advanced users as the concept will be confusing for the novice traders to understand. Let’s imagine that the user has stored huge funds on his wallet account. After creating a passphrase for that account, the user has unplugged the device and entered a new passphrase once the device is replugged. Then, the user sends minimum funds to the second account. In case someone threatens the user to reveal the credentials for the account, then the user can share only the details for the second account so that the funds in the primary account will remain safe. This is called multi-passphrase encryption or hidden wallets. Trezor Wallet (only Trezor One) uses the concept of the Blind matrix so that the users can enter the PIN even on untrusted computers. How? On the computer, the keypad will be shown as a 3×3 matrix with dots instead of the actual numbers which will be shown only on the Trezor device. The number pattern will change every time the user tries to enter the PIN. For example, if ‘3’ is shown in the first row, then it will be shown in a different row when the user enters the PIN for the next time or so. This feature will prevent the hackers from stealing the PIN of the customer using keyloggers or other techniques thereby providing the utmost safety for the customer’s funds. For further protection, Trezor also allows the users to set up multiple passphrases to create multiple wallet accounts and hide them from others. Even if someone steals your recovery seed, passphrases will help to protect your funds from the hackers. Trezor allows the users to recover the wallet in case it is misplaced, stolen or broken by entering the recovery seed. Without a recovery seed it is not possible to replace or restore your Trezor device (both Trezor One and Trezor Model T). Connect the Trezor device to your computer and simply navigate here. Click the button entitled ‘Recover Wallet’. Then, enter your recovery seed one word at a time. Once you have entered all the words of your seed, your account will be fully recovered. The recovery seed is also used to reset the PIN code in case it is forgotten. Hence, it is highly recommended to keep your recovery seed in a secure place. Generally, the investors feel that the customer support of Trezor is good. Their official website has a detailed user manual which clearly explains the procedure to send/receive the cryptocurrency payments. Some users have reported difficulty on finding the hidden wallets after creating the passphrases on Reddit forum. Hence, be careful on when setting up the Multipass Phrases procedure. To conclude this review, the Trezor Wallet is a very good hardware option to store a large number of coins and tokens. Both Trezor and Ledger Nano S are hardware wallets which are used to secure crypto assets offline. Even though both these devices have almost similar features, there are few differences between the two. For example, Trezor wallet supports touch screen (Trezor Model T) whereas Ledger Nano S used only physical buttons. Both the devices support a good number of coins and tokens by allowing integration with other wallets. Regarding the price, they are both in the price range of €80 to €100. They both offer Multiple Passphrase encryption. The biggest advantage Ledger has over Trezor, is that the Nano S, supports Ripple and Cardano, while for Trezor, you need to get the Model T which then costs €120. Having said that, for that price you’d be getting the touch version. Additionally, the Ledger Nano S supports 712 currencies vs the 700 supported by Trezor and the Ledger Nano S comes in multiple colour options which we think look phenomenal. Trezor supports touchscreen as well as physical buttons whereas KeepKey has only one button to control the entire operation of the device. The display screen of KeepKey is slightly bigger than Trezor One and Trezor Model T. Both the devices are easy to configure using their own proprietary software and offer extreme security to the customer’s funds. Trezor supports a larger number of coins and tokens than KeepKey. Regarding the cost, there is only a slight difference between the two wallets as they cost almost the same amount. Launched back in 2015, KeepKey Wallet is one of the oldest and secure Bitcoin hardware wallets available on the market, where customers can store their cryptocurrency coins and tokens in a securely.